John Ross was a notable British explorer known for his Arctic and Antarctic explorations. 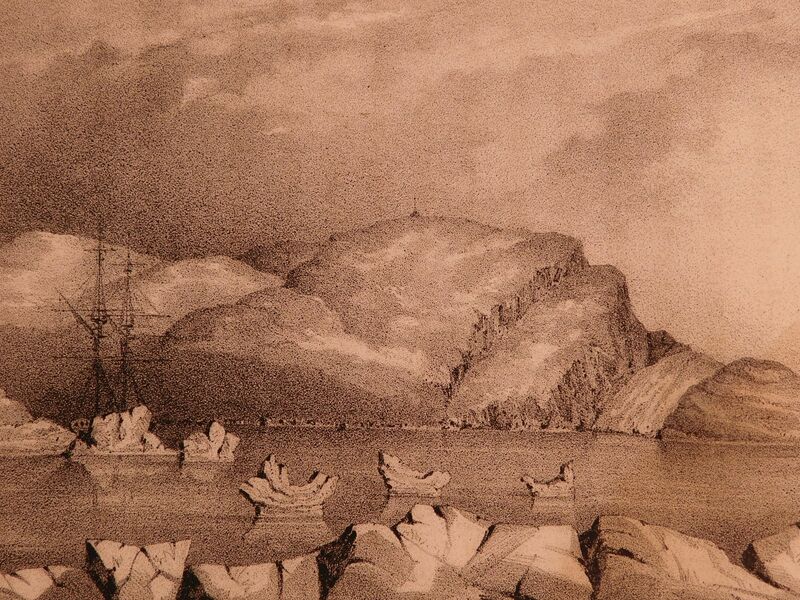 After a brief, but successful voyage to the north in 1818, Ross and his crew undertook a more extensive second Arctic expedition in 1829. It was on this four year adventure that Ross encountered Inuit tribes, reached the true North Magnetic Pole, charted new islands, and noted impressive geographical and meteorological phenomena. Narrative of a second voyage in search of a North-West Passage, and of a residence in the Arctic regions during the years 1829, 1830, 1832 and 1833 : North magnetic pole. London : A.W. Webster, 1835. First edition. Included with the author’s signature is a certificate of authenticity.